I have to admit it. I love a girls’ night in. It gives me a chance to have a few of my gal friends over, watch some chick flicks without the guys complaining about it, and enjoy some of our favorite foods. It is a no stress night that is filled with laughter and fun, and is usually really easy to put together. Most of my girl friends will show up with little notice, so a girls’ night in is often a spontaneous thing for me, which I love. This post has been sponsored by Candlove Candles. All content and opinions are mine, alone. Use these 6 Tips to Make your Next Great Girls’ Night In a Big Success. There are lots of fun ways to host a girls’ night in. Just think of the things that your girl friends like to do and host an evening around a few of these ideas. But even though it is intended to be a casual night, a little bit of planning will make sure that your girls night in is a success. I have found that when I include the following, I can be sure that the night will be full of laughter and fun. Food – Make it easy. I try to come up with one recipe that I spend a bit of time on, but make sure that the other things available to eat are simple to prepare. For tonight’s gathering, I made a delicious blueberry cobbler as my special recipe. (Get the recipe on the recipe card below this post.) The easy dishes consisted of watermelon slices, chocolate almond biscotti, a simple to make melon and cucumber salad, and some easy sugar cookies. Making simple recipes like these make me want to have more girls’ night in parties, since I don’t have to stress about the food too much. Mood – Make it special. Just because the night is going to be casual, doesn’t mean that I can forget about setting a nice mood for the girls’ night in party. For me, that means candles. 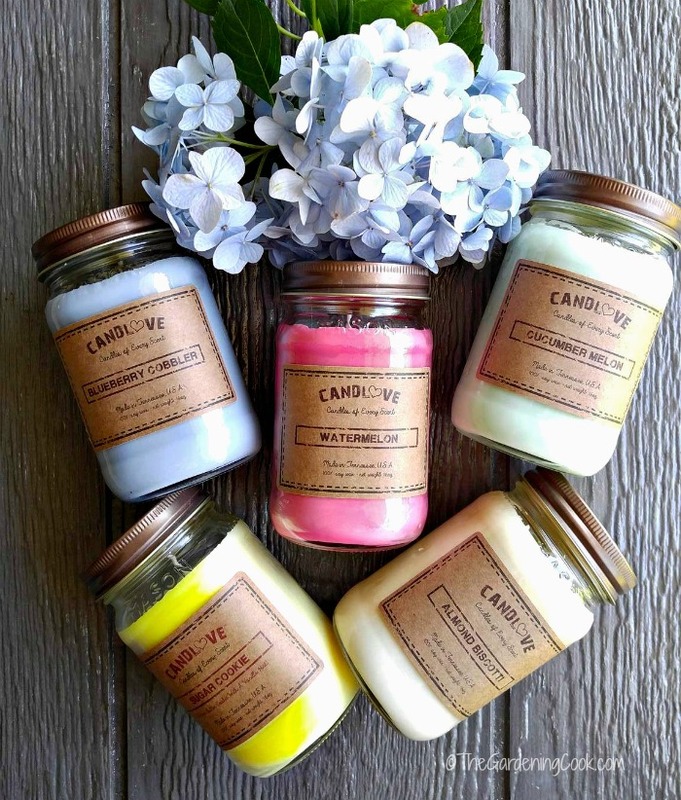 Imagine my delight, recently, when Candlove Candle got in touch with me to try out their amazing candles. I got to choose 5 scents to try, and since I am a #madfoodbloggerlady, I just had to try out their foodie scented varieties. 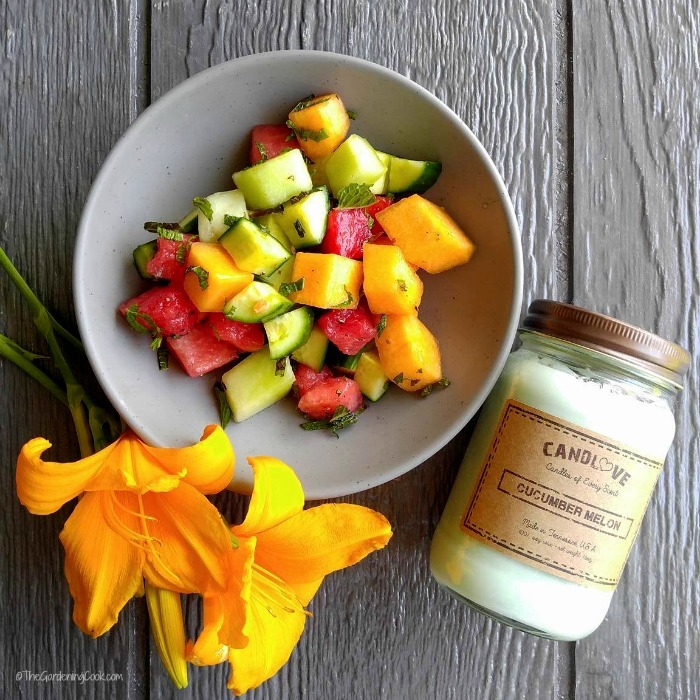 I thought it would be a lot of fun to tie my food and my mood together for my girls night in by pairing my foodie choices to a candle that matched it. It just so happened that I have flowers blooming in my garden to make the tablescape more special, too! That also gave me a neat party favor for each of my gal friends to take home with them. After all, what girl doesn’t like candles? It was so much fun to pair each candle with my food offering for my girls’ night in! Each of my food choices has a candle scent of the same name to go with it! What could be easier (or more perfect for summer) than a simple dish of sliced watermelon? 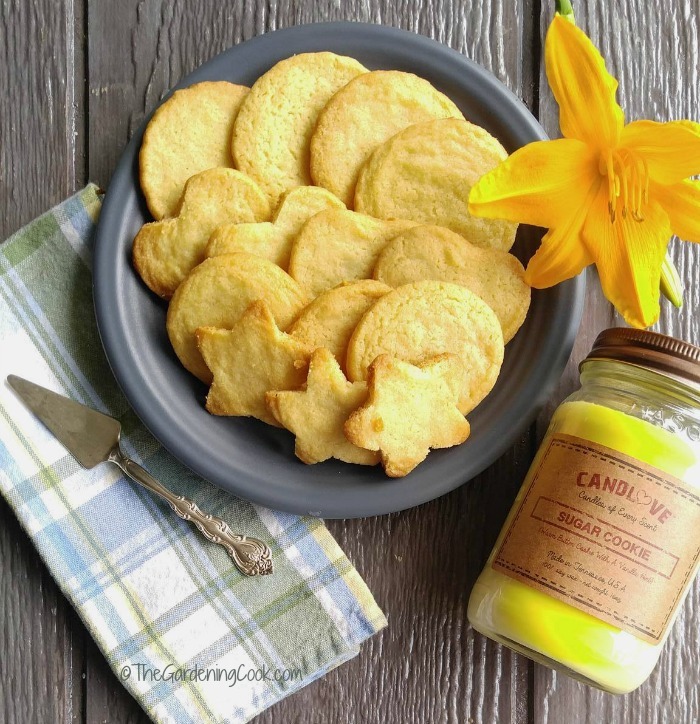 Store bought sugar cookie dough can turn into fun summer cookies with the right cookie cutters. They are simple to make, and ready in about 15 minutes! Nonni’s Toffee Almond biscotti! Store bought, but still special looking. What girl doesn’t like chocolate after all? One of the things that I like best about these candles (other than the scents, of course) is that they come in reusable mason jars. If you read my blog often, you will know that I love to re-use items in crafts. 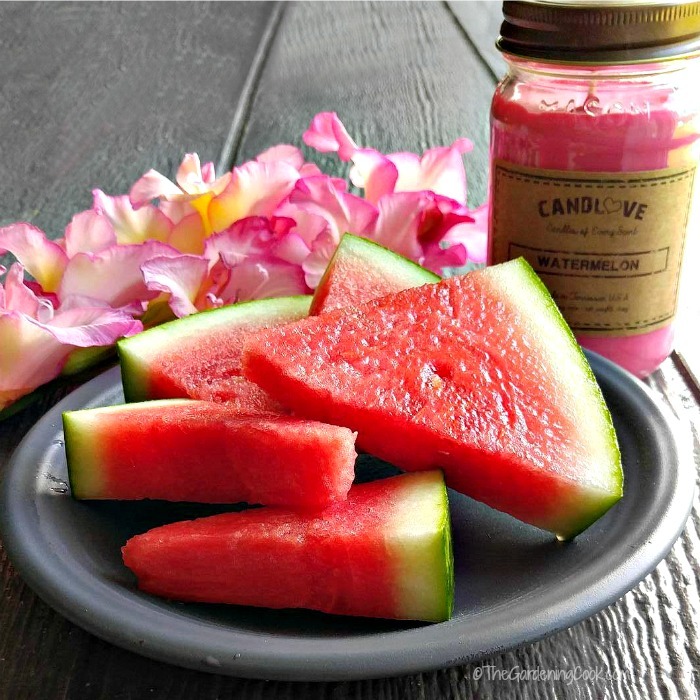 Think of the fun things that can be done with these mason jars when the candles have burned down and been cleaned well. Use them to make a Caprese Salad. Make a Summer Flower Vase. 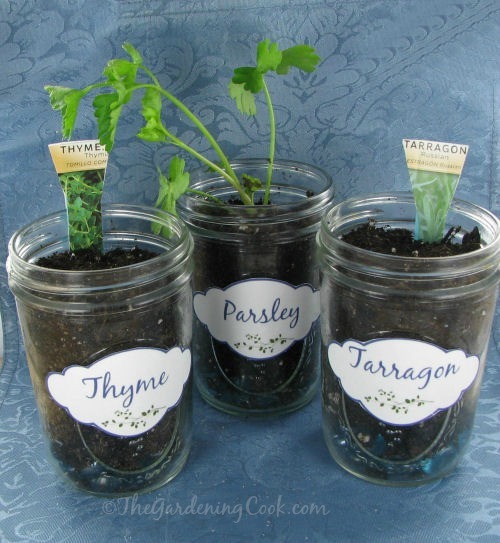 Use them to make a Herb Garden. Make Avocado Zoodles in a jar. Use them as silverware holders for the 4th of July. Make a DIY Mason Jar Storage Unit. 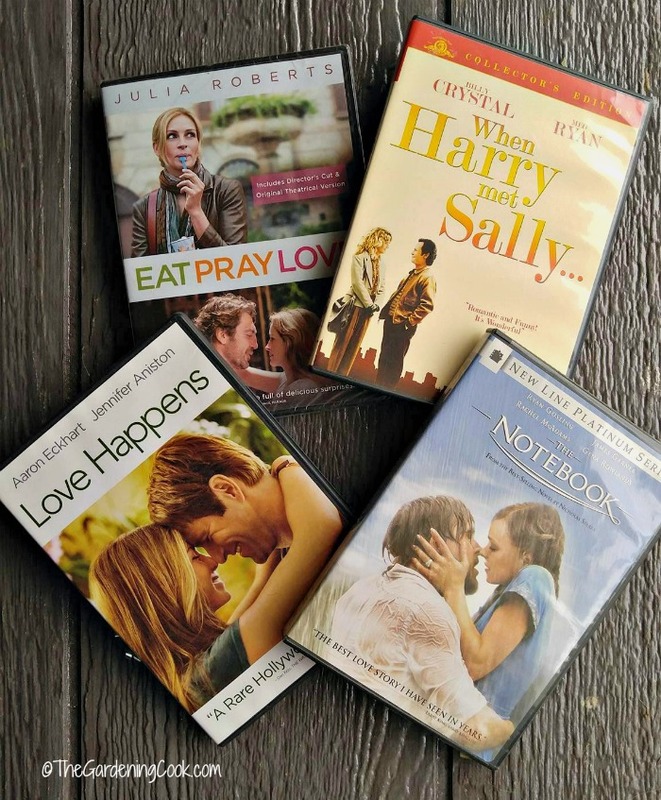 Movies – Make it a chick flick marathon. Have each friend bring over the sappiest chick flick movie they can come up with. Tell them all to come in PJs and then have a movie marathon night where you can cry your eyes out without the guys complaining about the choice of movie! Drinks – It is up to you as to whether you want to add alcohol or not. I find that my friends and I are pretty zany whether we are drinking it or whether we choose to have a clear headed night. Here are a few ideas for both types of nights. 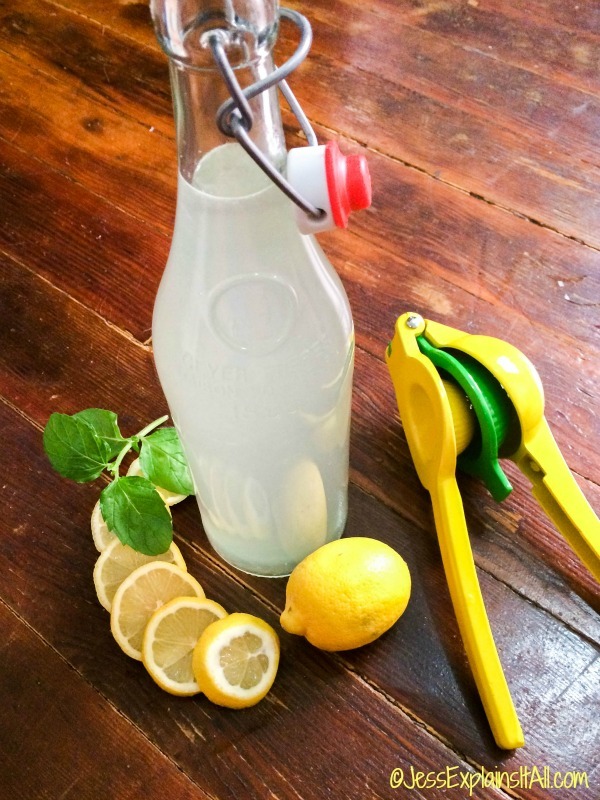 This super easy lemonade from Jess Explains it all is easy to make and is the perfect choice for a warm summer evening. Looking for something with a bit more kick? 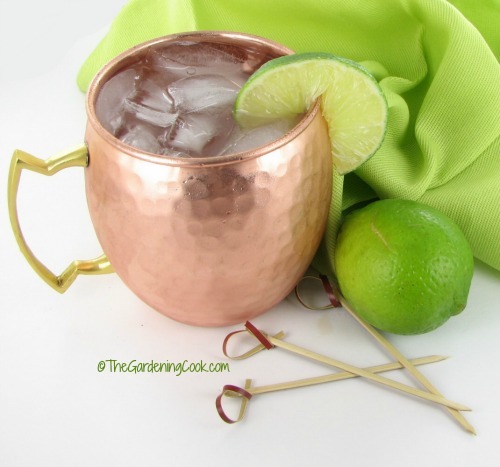 Try my recipe for a classic Moscow Mule. I love serving them in copper mugs. They hold the cold in so well and there is nothing quite like a really cold drink in the summer time. Spa Fun – This is one of my favorite things to do for a girls’ night in. 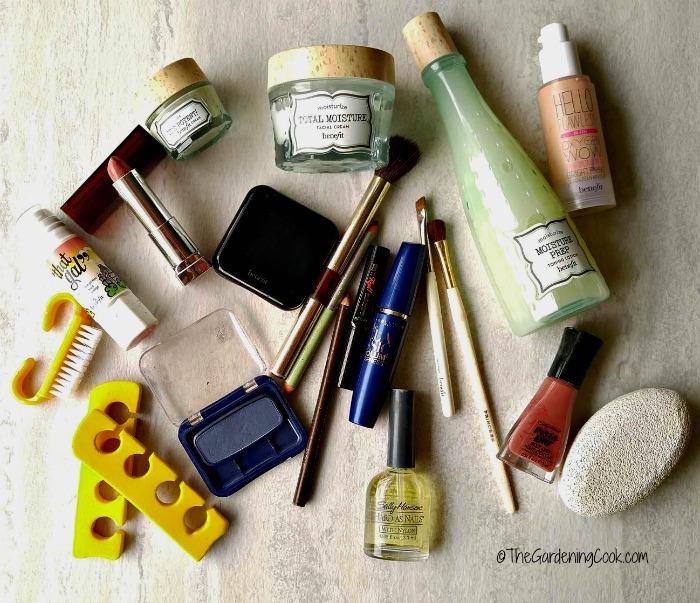 Have your girlfriends bring over some of their favorite make up and spa treatment must haves. Dump them all in the middle of a table and then go to town giving facials, making each other some special spa time. You may learn about some new products and you’ll get a manicure or pedicure out of it all! Clothing Swap. This idea works great if you are your friends wear a similar clothing size. Just have your friends bring over any clothes they don’t wear anymore. Everyone gets to try them on and trade. And you can make this part of the girls’ night in a good cause too. Anything left over can go to the Good Will! What are some of your favorite things to do for a girls’ night in? I’d love to hear your ideas in the comments below. 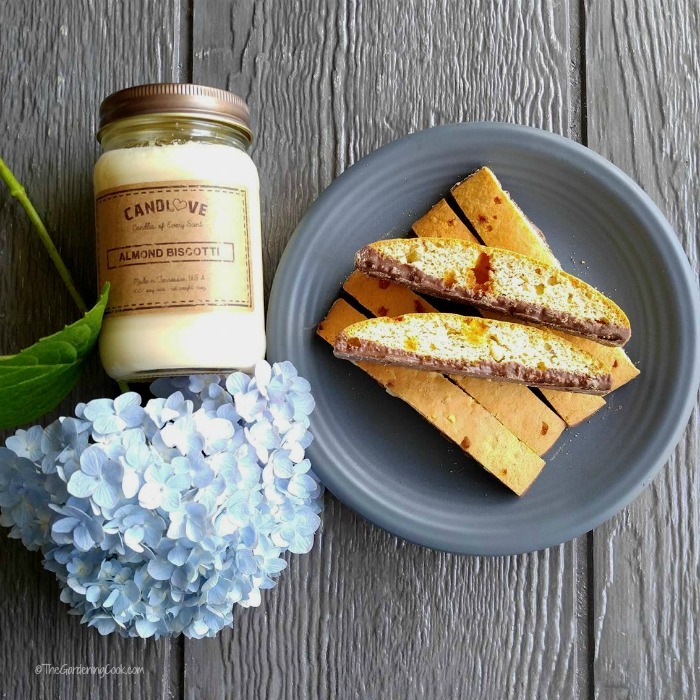 For more information on the lovely candles that I featured in my post, please visit Candlove Candle, or visit them on Facebook or Twitter. Would you like to make the blueberry cobbler and melon salad that I featured at my girls’ night in? Just follow these easy steps below. Both recipes are much easier than they look. 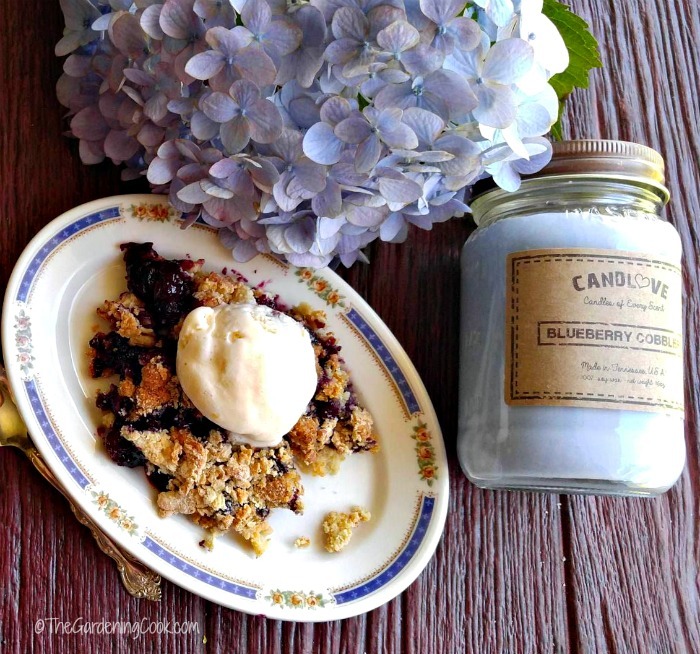 This blueberry cobbler dessert is rich and fruity and perfect for a girl's night in. Preheat the oven to 375º F. Lightly grease a 9 x 11 inch glass baking dish. Place blueberries into the prepared baking dish. In a small bowl, combine the sugar and lemon zest.Add the flour and whisk until everything is thoroughly combined. Sprinkle this mixture evenly over the berries and toss them gently. Be sure everything is evenly distributed so that the sugar will caramelize and the flour will thicken the cobbler liquids. Set the dish aside. In a medium bowl, whisk together the flour, brown sugar, baking powder and salt until well combined. In a medium sized bowl, whisk the vanilla into a beaten egg using a fork. Place the wet and dry ingredients into the food processor, along with the cubed butter. Pulse until the mixture resembles coarse corn meal with some big bits in it. Take care not to overwork the topping. Sprinkle the biscuit crumble topping evenly over the fruit filling. Dust with freshly grated nutmeg. Bake in the preheated oven until the topping is golden brown and the filling is cooked through and bubbly, about 40 to 45 minutes. To make sure that the top does not brown too much, cover with aluminum foil after 25 minutes of baking time. When done baking, transfer to a wire rack to cool. This recipe is courtesy of my food blog Recipes Just 4U. This cucumber melon salad is light and fruity and perfect for a girl's night in. Dice your melons into even sized cube shaped pieces. Place the cubed melon pieces in a large bowl and set aside. In a small bowl, combine the lime juice, honey, sea salt and cracked black pepper. Mix well. Pour over the melon pieces, and add the chopped fresh mint. Mix well. For the best flavor, let it sit in the fridge for about an hour to let the flavors combine well.. Recipe courtesy of Recipes Just 4U. For those of you who don't know, I also have a food blog featuring all kinds of delicious recipes.